"All children, except one, grow up" - Me, Annie Bee. Today Aoife is five years, six months and three days old. Today, while she quickly wrote a story before school because we’d forgotten to do her homework (when does that start becoming her fault not ours? ), we found her first wobbly tooth. The absolute joy on her face was a picture. She looked proud as punch. This was her proper ‘big girl’ thing. Yes she’d done walking, talking, potty training etc, but they were all landmarks for us rather than for her. This was the first thing to make her feel like a big girl and she was over the moon. I, on the other hand, felt like I’d been punched in the stomach. The combination of this next step and her absolute joy that it was happening made me REALLY realise how fast she’s growing up but worse than that, how much she WANTS to grow up. I read stories in the press about gangs, children being groomed online, being bullied online, being attacked for someone to film and put on Facebook* and I fret (a LOT) about how I can protect my children from this. I KNOW it’s a few years away but then again it isn’t. The time is going so fast and no matter how hard I try to soak up and remember every tiny thing they do and say I feel like it’s all passing me by pretty quickly and these things are looming. Kids are getting savvy quicker. 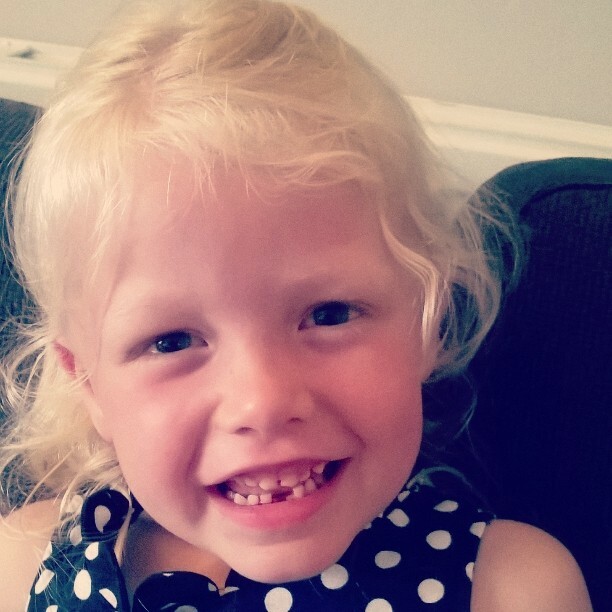 This evening, Aoife’s tooth fell out (it could be argued she forced it a little) and her big grin just got bigger and gappier. 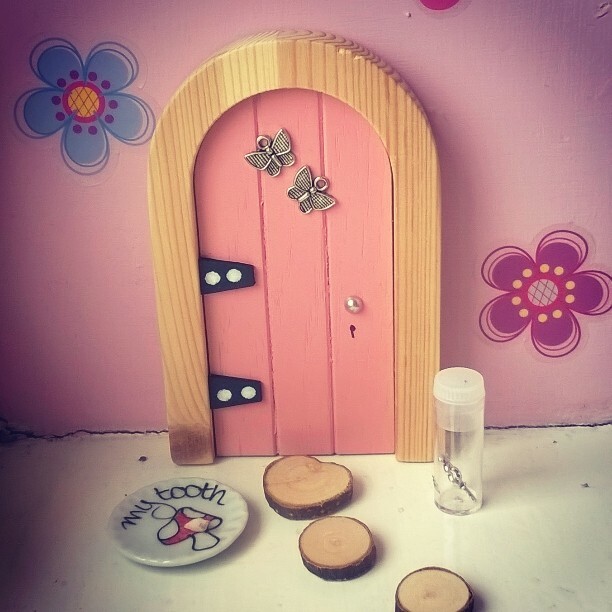 Tonight we put her tooth on a special plate outside her fairy door so Jess the fairy could take it. The door to the Fairy Kingdom for our adopted fairy, Jess. She was so excited that she didn’t want a story or anything. She just went right to sleep. Tonight I will drink wine to celebrate/commiserate. *I know only the really horrid stories make the papers and lots of good and wonderful stories about kind and caring children are out there somewhere. **This is a joke, obviously, I couldn’t deal with the sugar rush.